to transform how technology impacts everyday life. Alex started his career as a research scientist for NASA, the Naval Research Lab, and Sandia National Lab. He later joined Fisker Automotive heading sustainability initiatives across design and engineering. In 2010 he left to launch At The Pool and Yeti, social apps reaching members in more than 120 countries. Alex has an engineering degree from UCLA, lives in Los Angeles, and likes to ski, bike, and skydive. 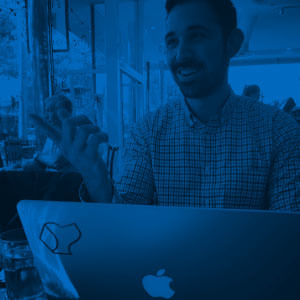 Follow Alex's tweets about AI, Startups, and Design at @alexcapecelatro. 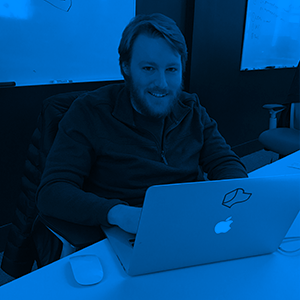 Tim built the heart of the Josh.ai programming language, J++, and oversees all aspects of the technology. Outside of work, Tim loves snowboarding, his dogs Maggie & Phipps, is a philanthropist and founder of the Gill Foundation, and a huge champion for equal rights. Tim is the founder and former chair of Quark, Inc and lives in Denver with his husband Scott Miller. Responsible for the branding, user interface, and user experience of Josh. Jason studied Illustration, Industrial and Entertainment Design at Art Center College of Design in Pasadena, California. Outside of work Jason likes to ride his bike, go boxing, shoot his guns, ski, and travel everywhere on a whim. Nader is responsible for business development overseeing marketing, sales, and partnerships at Josh.ai. Previously, Nader was a managing partner at GenYrator and before that he was Vice President / Supervising Execution Trader at Bank of America Merrill Lynch. Nader has an MBA from USC and a BS in Electrical Engineering from UT Austin. Outside of work Nader likes to play volleyball, travel, and rock out to pop music. 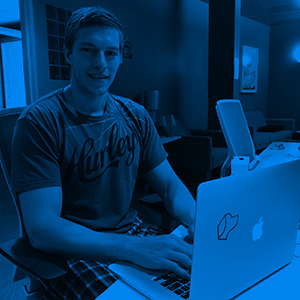 A lifelong Mac user and developer, Atticus has been writing apps for Mac OS X and iOS since 2006. When the iPhone OS SDK was first released in 2008 he began working full-time on iPhone development. 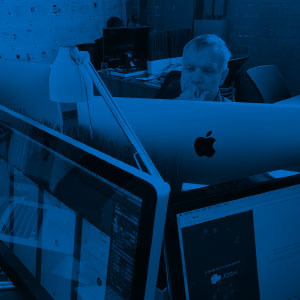 Atticus is passionate about developing elegant apps that improve day to day life for their users. He believes the best design is both electrifying and unobtrusive. 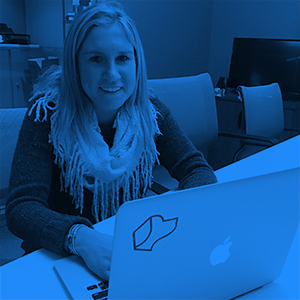 Bridget is part of the business development team focusing on integrator relations and marketing. 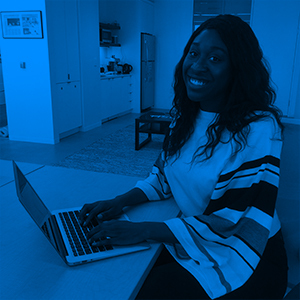 Originally from Massachusetts, she worked at Savant for many years before moving to Denver to work for a large integrator, Xssentials. Outside of work Bridget likes to hike, travel, and check out new restaurants. She will be relocating to California in 2017. Stephen focuses on backend infrastructure, device drivers, and aspects of the intelligence layer behind Josh.ai. He has a masters degree in Electrical Engineering from UC San Diego and previously worked for NASA's Jet Propulsion Laboratory, ON Semiconductor, and First RF Corporation. He enjoys being active and is looking forward to learning how to ski or snowboard in the winter. 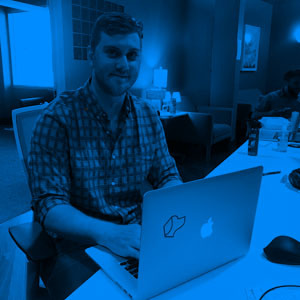 Schuyler works on device integration and backend development. 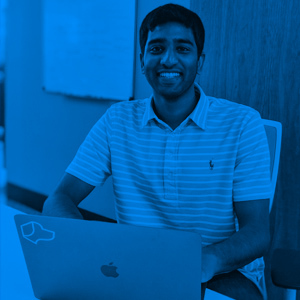 He joined Josh.ai immediately after completing his bachelor’s and master’s CS degrees from the Rochester Institute of Technology. He previously interned at HPE and IBM. Outside of work Schuyler enjoys watching bad movies, drinking beer, listening to Pink Floyd, and exploring Colorado. 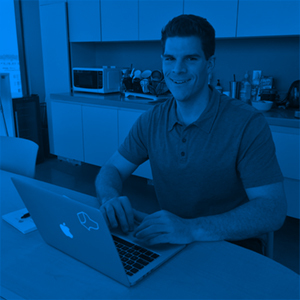 Scotty is responsible for product management, overseeing the roadmap and new releases at Josh.ai. 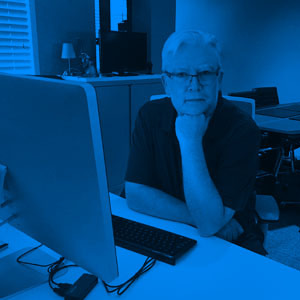 Prior to joining the team, Scotty spent eight years at Oracle leading a product management team that built on-premise and cloud solutions for the digital media market. Scotty holds an MBA and a BS in Electrical Engineering from the University of Denver. When Scotty is outside of the office, you can find him skiing down the slopes or mountain biking a single track somewhere. 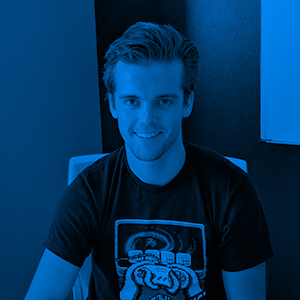 Ed is a member of the software team, working on device integration and backend development. Hailing from Buffalo NY, he studied at the Rochester Institute of Technology, receiving a bachelors degree in Computer Engineering. 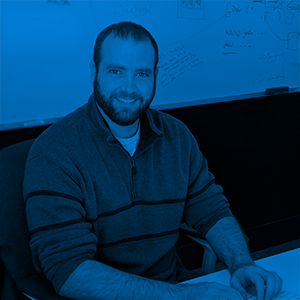 After graduating Ed joined Savant Systems where he worked as a sofware engineer for 5+ years. In his off time, Ed enjoys cooking and eating great food, skiing, and attempting to fix-up motorcycles. 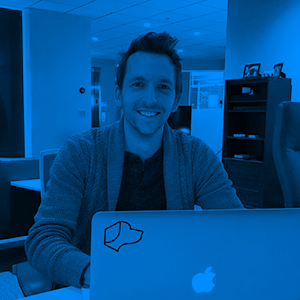 Casey is a member of the Business Development team at Josh.ai. Originally from the San Francisco Bay Area, Casey graduated from the University of Southern California with a degree in Business Administration. A former collegiate athlete, he enjoys staying active and going on new adventures. 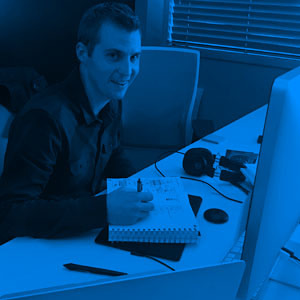 Brian spends his days making sure the Josh user experience is simple, intuitive and beautiful. He studied Graphic Design at Brigham Young University, and spends his free time tinkering with his motorcycle, playing as much disc golf as he can, and snowboarding with his family. Derek works on device integration and backend development. Originally from Sydney, Australia, he moved to the United States in 2001. Derek was previously the Chief Technology Officer for Lexmark Enterprise Software (Enterprise Search Division). In that role, he was responsible for the vision, development and growth of the company's market leading Enterprise Search products. Outside of work, Derek likes to travel, play with retro computers and watch Game of Thrones. 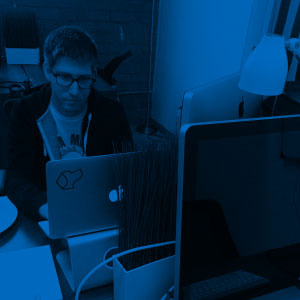 Dylan works on animation and frontend development. He studied Computer Science at Arizona State University and the American University of Paris. 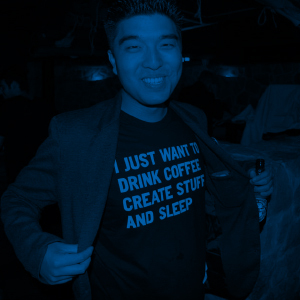 Before joining Josh.ai, he worked as a fullstack engineer for a handful of entertainment startups based in LA and Paris. 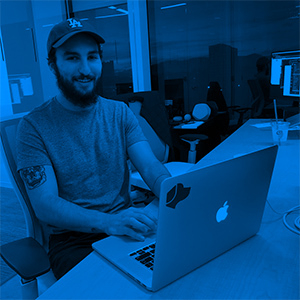 Aside from writing elegant JSX, Dylan enjoys riding motorcycles, racing cars, and going to concerts. Kevin contributes to device integration and backend development. He received a bachelors in Physics and a masters in Electrical Engineering from Colorado School of Mines in Golden, CO. After graduating, he worked at Rincon Research Corporation for 2.5 years, where he wrote software for signal analysis and DSP. Outside of work, he enjoys brewing and drinking beer, playing guitar, and getting outdoors to hike and snowshoe. Mukesh works on NLP and backend development. He has a BS in CS with a specialization in AI/Machine Learning from UC Irvine. After graduating, he worked in the R&D department at First American Corporation, where he focused on Machine Learning-based information extraction. Outside of work he enjoys exploring Denver by bike, listening to B.B. King, and playing basketball. 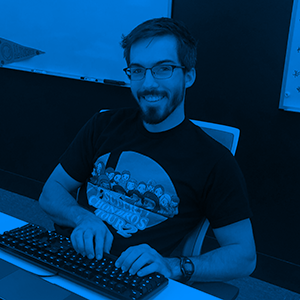 Aaron started programming when he was 7 years old and has not stopped since. He had the drive to teach himself college level programming well before completing his BS in Computer Science from University Colorado Denver. 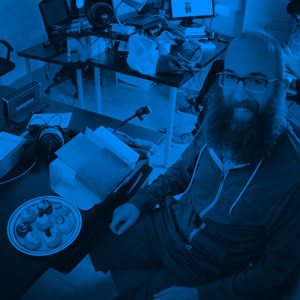 Prior to joining Josh.ai, Aaron co-founded a company dedicated to distributed audio which he ran for 8 years. 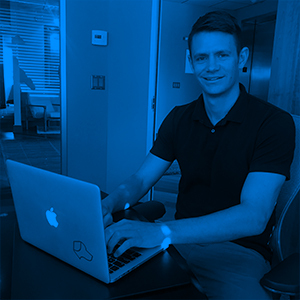 He loves to write code and discover the cleanest most elegant solutions possible. Aaron is a Colorado native and when he is not coding he plays video games, tennis, goes for hikes, or participates in Bible studies. He also enjoys volunteering with Food Bank of the Rockies, Samaritans's Purse, and Habitat for Humanity. Saina assists the business development team in Los Angeles while also managing administrative tasks for the office. She received her BS in Mass Communication from St Cloud State University in Minnesota. In her free time she loves music/dancing, random adventures, and frolicking all over town to different museums. Jack works on Quality Assurance, NLP and Technical Support. He recently graduated with a BS in Computer Engineering from the University of Denver. Outside the office, Jack enjoys playing games, making games, and exploring both the great breweries and great outdoors Colorado has to offer. Jonathan works on device integration and backend development. He earned a BS in Electrical Engineering before moving to Colorado to work for Hewlett-Packard as a firmware engineer on cutting edge projects like The Machine and the Department of Energy’s Exascale Compute project. Outside of work, he spends most of his time hiking, mountaineering, and climbing rock, snow, and ice or training for his next excursion into the mountains. Bryan works mainly on the Josh.ai web app. 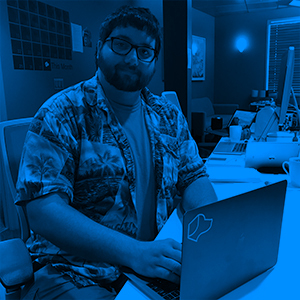 After getting a degree in Computer Science in New York, he worked on the supercomputing team at IBM before moving to Denver and transitioning to frontend development. Outside of work, he enjoys hiking and climbing.